SealGreen - we specialize in manufacturing concrete sealers and concrete cleaners that are simple to apply and will protect the concrete for many years before re-application is required. 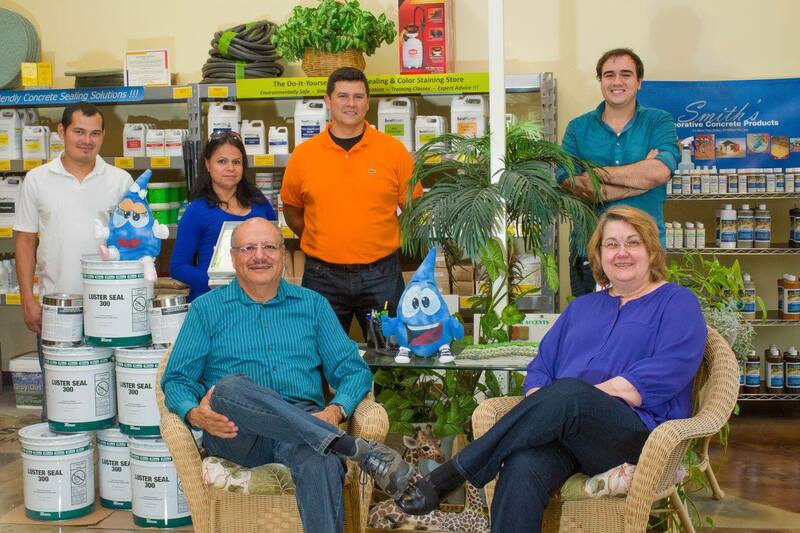 Mike and Connie Hernandez started ReUse Concrete Sealing Specialists, LLC. in the basement of their home in 2003. ReUse began as an effort to bring high quality products and installation practices to an industry that was in its beginning stages. Very few people really understood the value of sealing concrete and the quality of the products available for those who did were not advancing with newer technologies. Our concern for the environment and our years of experience in cleaning and sealing concrete for industrial, commercial and residential applications was the catalyst for ReUse Concrete Sealing Specialists, LLC to develop the SealGreen product line in 2008 to address the environmental impact created by the use of harsh, toxic chemicals in this industry. We manufacture and use only environmentally-friendly, high quality, water-based products that are EPA approved. We run our business with many creative solutions and technological improvements to create as small an environmental “footprint” as possible. We sell our products in concentrates to reduce shipping costs and container waste. We sell our products in concentrates to reduce shipping costs and container waste. Our office is furnished almost entirely with “reused” furniture and fixtures – the only new things are the technology, the computers, and the way we approach business. We want to teach people to care for their concrete – one of the biggest investments in the building of your home. We want to provide people with the information necessary to make informed decisions about the products they use and how they should be applied. We are not nameless and faceless and hide behind industry jargon. We are here and approachable and willing to answer your questions and to provide you with independent resources so you can verify the accuracy of our information. We pride ourselves on our industry knowledge and experience. Website : www.SealGreen.com available 24 hours all year round.